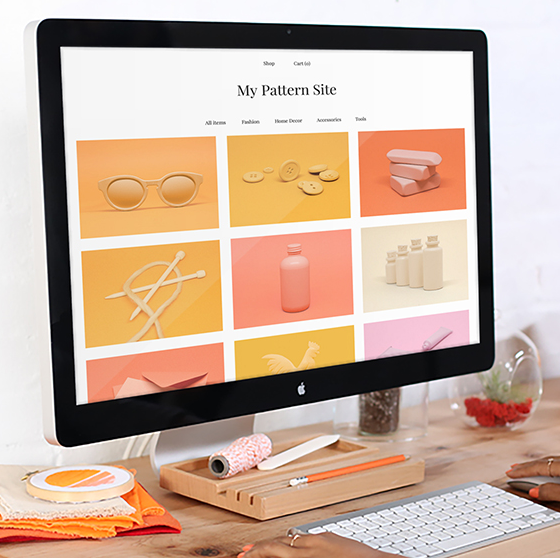 Etsy has unveiled a new seller platform called Pattern that enables users to create their own custom website. The platform enables sellers to use their own domain for a website that is powered by their Etsy shops and integrated with other familiar tools. According to Etsy, Pattern will help sellers take their businesses to the next level easily, quickly and affordably. “We know from our research that more than a third of Etsy sellers are interested in opening a commerce site of their own, but many have found the process to set up and maintain a custom site too difficult. From finding a domain and host, to setting up a site, to loading all of their content, to adding and managing inventory, the process is complex, time consuming and can be frustrating. And this is just to get started.,” Etsy said in its announcement. Pattern is fully integrated with a seller’s Etsy shop. Not only does the platform import all shop listings and content, but it also syncs orders and inventory between sites, provides analytics integrated with Etsy shop stats and uses the same tools for checkout and shopping that Etsy sellers already use. Etsy notes that setup with Pattern is easy and typically only takes a few minutes. What’s more, Pattern offers five themes, and sellers can further customize their sites with logos and brand colors. Sellers with Direct Checkout enabled can try Pattern for free with a 30-day trial, with the service costing $15 a month after that. In addition to Pattern, Etsy unveiled a new design for the landing pages of Etsy Sellers called Shop Home. The Shop Home gives sellers more creative control over the design of their shops and enables them to better highlight their brands within the Etsy marketplace.